It’s the first day of November; we had our first rain as we are going back to Daylight Standard Time and my first time to see a double rainbow- well maybe I did in the past but I can't remember when. I think it inspired me to finally get out of this funk and it led me back home to my blog. I have drafts for each month that I was absent but I’ll probably get back to them another time. 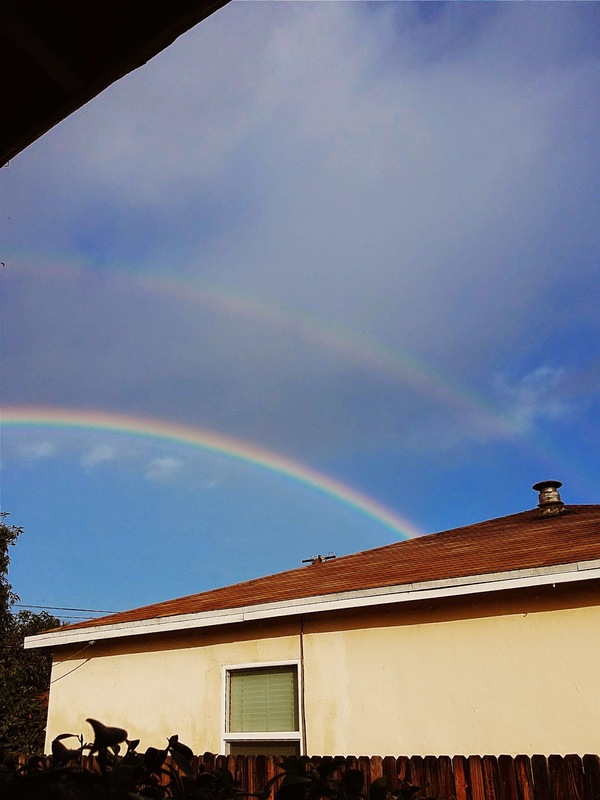 I just want to savor that moment when I saw the double rainbow this morning. The initial reaction was grab my phone to take a shot and ran outside only to realize it was not a light drizzle. Feeling protective of my phone, I rushed back and just took a couple of shots from our porch. Not the perfect spot to get the best shot and I feel bad that I was not able to capture the beauty of the rainbow but still happy to have seen it. 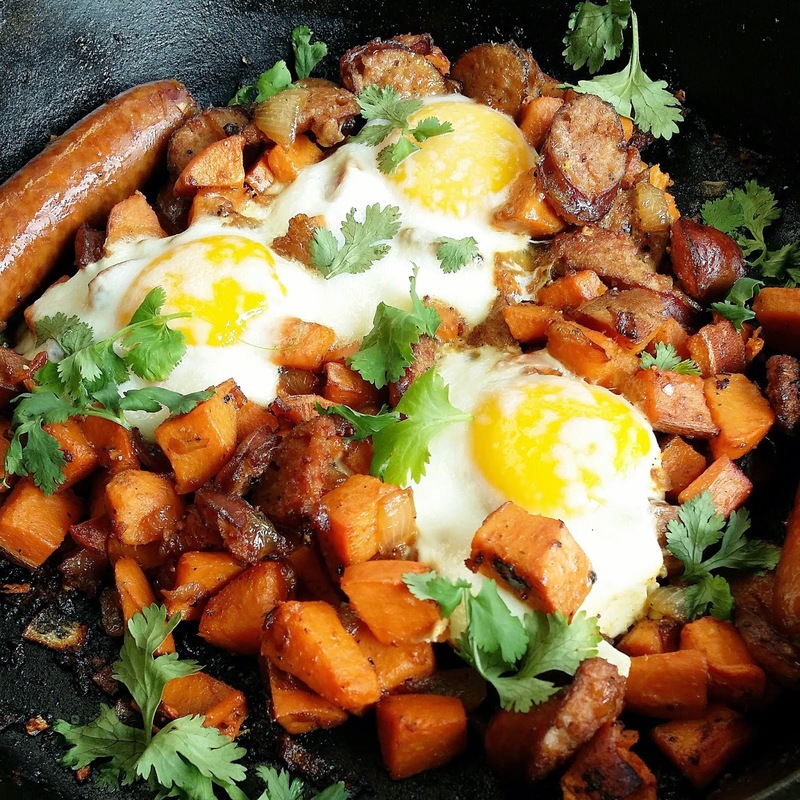 I think it calls for a celebratory breakfast so I made Sweet Potato Hash with cheddar cheese-filled turkey sausage topped with gooey eggs. 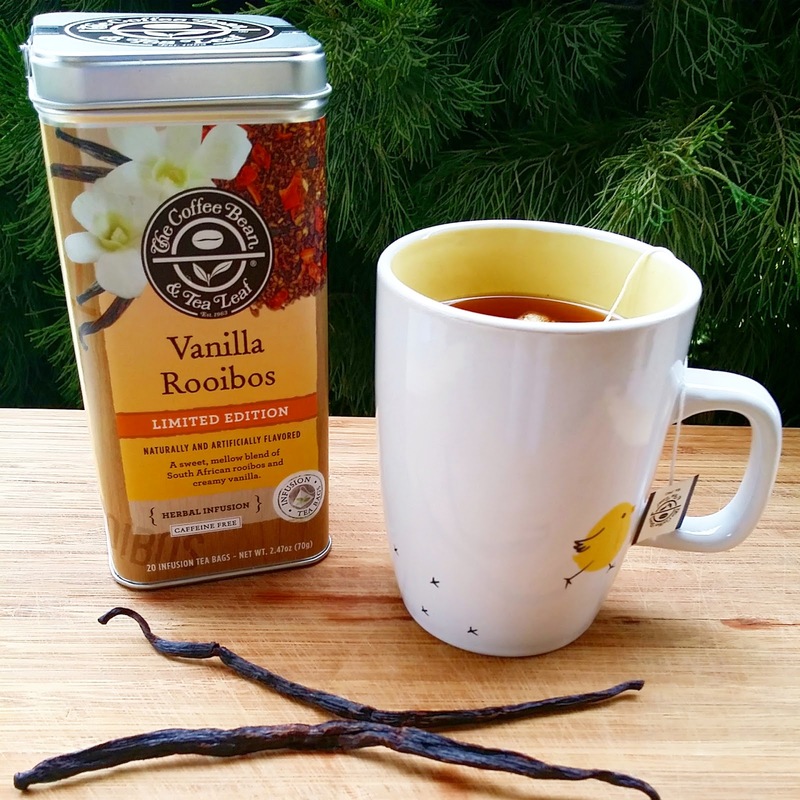 Washed down with a steaming mug of Vanilla Rooibos Tea- life is beautiful! I’m so haappy to be back! What a beautiful post!!! Miss u!